Already listed with our Phuket bakeries directory? If you are looking for the fresh bakeries all over Phuket Island, Phuketindex.com can provide the most convenient selection to find bakery shops in Phuket. 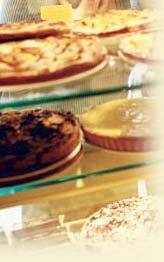 Bakeries in Phuket, you can found in our comprehensive listing.